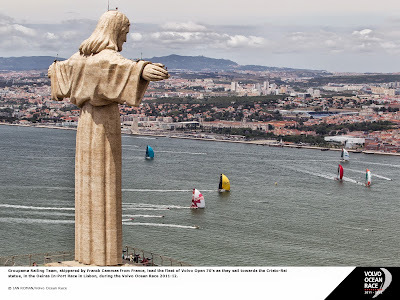 Lisbon will build on the success of the city's outstanding Volvo Ocean Race debut last year by hosting the race in each of the next two editions. 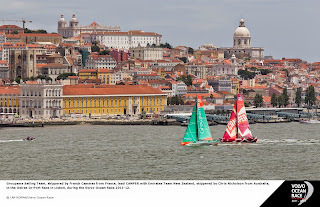 The Portuguese capital staged a groundbreaking stopover in 2011-12 and will be back on the route for the 12th edition in 2014-15 and again for the 13th in 2017-18, Volvo Ocean Race COO Tom Touber announced on 1 March 2013. The boats will reach Lisbon in 2015 after setting out from Newport, Rhode Island and crossing the Atlantic back to Europe. The sight of Lisbon's iconic 25 de Abril bridge will be familiar as well as welcome, with the city reprising its role as the Transatlantic Destination from the 2011-12 Race, when the boats arrived from Miami. "What Lisbon achieved in the last Race was remarkable when you think that the city was making its debut," said Race COO Touber, who made the announcement at the Torreão Nascente in Portugal's historic capital. "Lisbon is a great port city and the people came out in their thousands to welcome the sailors as their own. The Race Village was a hive of activity, with everyone coming together to give the stopover a distinct Portuguese feel. It was a truly great success and we can't wait to come back." 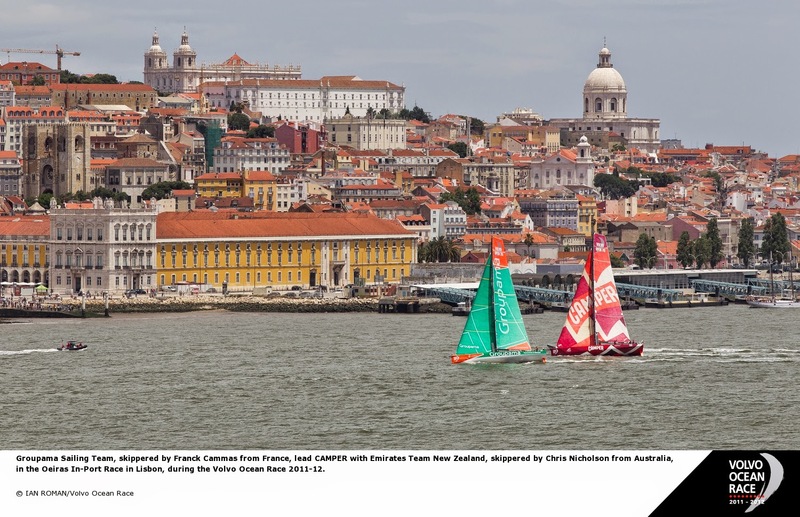 Mayor of Lisbon, António Costa, added, “Welcoming the Volvo Ocean Race to Lisbon for its next editions will again represent a great opportunity to promote the culture and heritage of Lisbon on a global scale. "This will be an important landmark for the City as a privileged stage for great events. In addition, the event will also give us the opportunity to promote regular sport among our population, in this case directly related to sailing, a sport with great tradition in the country and one of the few in which we have a rich background in terms Olympic athletes. 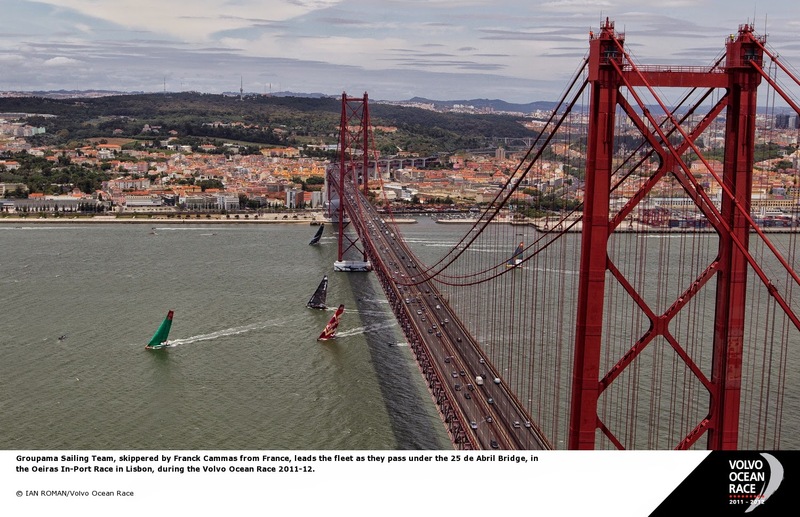 Lisbon is the eighth Host Port to be announced for the 2014-15 Race, which already has three confirmed and publicly announced teams with more than 18 months to go before the start. The Race will start from its home in Alicante, Spain before visiting Recife in Brazil and going on to the United Arab Emirates capital of Abu Dhabi. Later in the Race, the teams will dock at Auckland, before rounding Cape Horn and reaching Itajaí, the second of two Brazilian stopovers. From there, the route takes the teams north to Newport and across the Atlantic to Lisbon. The Race will finish in Gothenburg, Sweden, with the final stopovers, as well as dates and distances, to be announced in the coming weeks. The three teams so far announced are the all-female Team SCA, Abu Dhabi Ocean Racing, which will once again feature Britain's twice Olympic silver medallist Ian Walker as skipper, and a team from the Brazilian state of Pernambuco.